Unlock your kids’ creativity with a little garden fun. This DIY for kids will encourage them to get stuck into the garden and soak up some vitamin D – perfect for the long December holidays. Using your hand garden trowel, scoop potting soil into the pots. Plant your flower combination into the pots. Add pebbles or stones to fill the foot section of each gumboot. 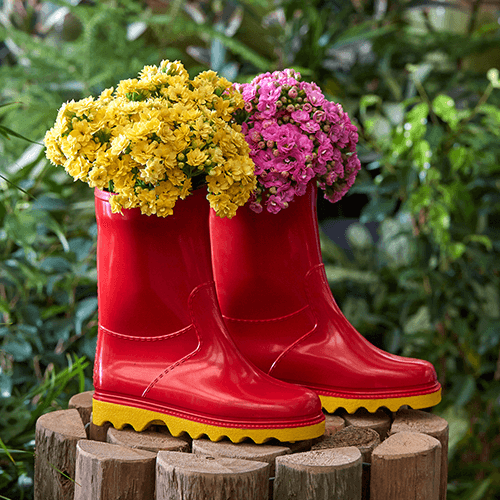 Carefully place the pot plants inside the gumboots. Have your kids show off their completed project on the patio or let it brighten up your garden space as a quirky feature.